Aug 26 · Last update 5 mo. ago. Why is the Armenian Genocide not recognised internationally? It’s been over 100 years since the onset of this massacre, and it widely held by academics to be a genocide, however many states and countries do not recognise it as such. To retrospectively go back in history to try to relabel one massacre or famine as a genocide raises many difficult questions around other massacres of this period. It may be the case that governments of countries such as the US, Mexico, England, South Africa, Japan, and Australia amongst others, do not want to recognise any pre-20th century massacres as genocides, as they run the risk of themselves being accused of genocide. This may open other claims made to historical massacres or famines, possibly of much further reaching implications, such as the European colonisation of the Americas. This massacre was during a global period of transition and is now lost under the bigger subsequent genocides of the time. Previous genocides and some subsequent ones lack recognition or even dialogue as to weather or not they constitute genocide. European imperialism in America and even the later Manifest Destiny ideology that lead to the westward expansion of the United States lead to the violent removal of natives from their land. Likewise the Dzungar genocide, Circassian genocide, Selk'nam genocide, Hereo & Namaqua genocides, all predate the Armenian genocide and receive little recognition for similar reasons also. The term genocide was coined in 1944 and adopted by the UN to describe the racial killing of a people group on such a monumental scale as the Holocaust. There is a firm definition of genocide in international law, but there still is no academic consensus about what constitutes genocide prior to the coining of the term. For example there is the question of deaths from disease surrounding the expansion of European colonies through the Americas, and the proportion of violent to disease deaths caused to the native Americans. A lack of details such as these coupled with a distinct lack of universal declaration of intent make it difficult to apply the label of genocide. Likewise, as the Armenian genocide happened under the cover of war there is some dispute, albeit mainly Turkish, to what exactly transpired. Turkish genocide deniers often claim that there was no “intent to destroy” so it is therefore not technically genocide, and the Turkish government take the position of rejecting the words "deportation" in favour of "relocation", and "refugee" in favour of "immigrant". 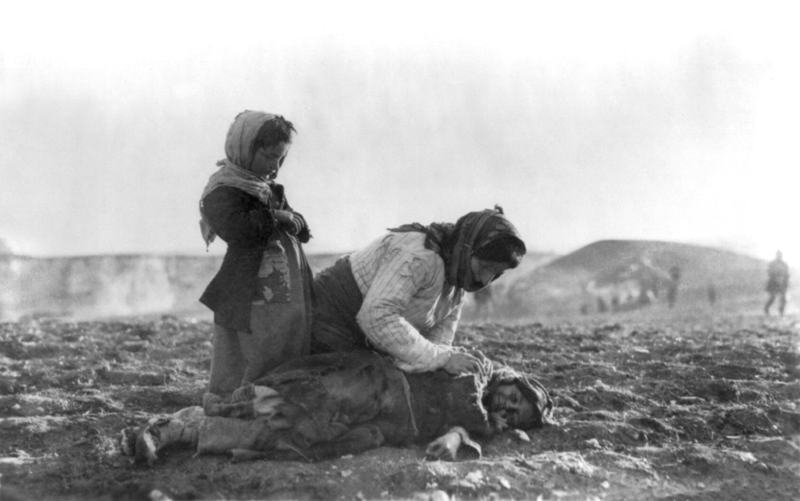 But while the Turkish government does not deny the killings of any Armenians took place at the hands of the Ottoman Empire, they do dispute the number of deaths and try to link the majority of deaths to the monumental death toll of that war. Some prominent US academics have been accused of trying to spread the ideas of Armenian genocide denial in America. Professor of Ottoman and Modern Turkish Studies at Princeton University Heath W. Lowry has received numerous criticisms based around his denial of the Armenian Genocide. He has been called out, along with others, for his involvement in various incidents from writing letters to the US government, to trying to reduce scholarly mention of the genocide, to accepting Turkish bribes. In 1985 the New York Times and The Washington Post published an advert made by a group of 69 historians calling for public condemnation in the run up to a hearing on an Armenian Genocide resolution held by US Congress. The advert was made by American genocide deniers, the previously mentioned, Heath W. Lowry and Bernard Lewis and was paid for by the Committee of the Turkish Associations. Later research carried out by the Armenian Assembly of America found that most of the 69 academics that gave their name to the 1985 newspaper adverts benefited to some degree in the form of research grants paid for by the Turkish government. Turkey’s official stance on the Armenian Genocide, committed by the Ottoman Empire from 1915 to 1923, is one of denial. Furthermore Turkey’s criticism of international recognition of the event, and common diplomatic threats and controversies that they instigate following this, have made many states reluctant to officially recognise the genocide. France, Spain, Israel, the UN, authors, human rights activists and even Pope Francis have all been involved in some sort of dispute over the matter. Turkey is not afraid to throw its political weight around, this can be seen in President Erdogan recent claims to defy US sanctions on Iran, this following threats to resist direct US sanctions over the Turkish detaining of an American pastor and trade with North Korea. When you compare the size of their respective economies, on top of this bombastic diplomatic style, we can see that Turkey occupies a much strong position of international leverage than Armenia. This leads to the gloomy reality, where nations that recognise the genocide may suppress their stance on the matter, in order to avoid harming diplomatic ties to Turkey. In countries like the US, despite recognition by the vast majority of states, the federal government still maintain a position of denial. This is not only a head in the sand approach to human rights violations, sending out a mixed message over human rights, but it also flies in the face of democracy, as the overwhelming scientific, historical and public opinion is being ignored. However, many of the nations that do not recognise this genocide may themselves have a questionable human rights record, and therefore not deem the subject as historically significant. For example it would be hard to imagine countries such as Iran, Saudi Arabia, or China, who regularly disregard human rights laws, taking historical Turkish genocide seriously. Likewise, many other known violent human rights abuses are ongoing, such as Duterte’s support of extrajudicial killing in the Philippines, or even many ethnic hostilities in African countries such as Mali and Sudan. It is hard to see regions such as these calling out Turkey historical war crimes, when they are themselves still engaged in their own.